Muddy Victories For Dayton Rugby Men And Women | The Jamestown Comet. DAYTON – The Dayton Area Rugby Club (DARC) men’s team, the Flying Pigs, took home a 30 to 5 victory in Saturday’s Midwest Rugby Football Union quarterfinal playoff game. Plowing through a steady rain on a mud-soaked field, the guys took out Iowa’s Bremmer County Bucks. Setting the stage for the day were the DARC women who took their game into the second half before it was called on account of lightning. Nevertheless, they managed a significant lead over Bowling Green State University, 42 to 0, to take home the win. After a soaking victory over Iowa, the Flying Pigs head to Madison, Wisconsin on April 30th to take on the Chicago Blaze in the next round of playoffs. There is more great rugby action at Eastwood Park again next week, however, as the DARC hosts a tournament of local colleges. The 2011 President’s Cup begins at 9 a.m. on Saturday April 16th. The University of Dayton women’s team kicks off the day against the ladies of Miami University, followed by the DARC Women head-to-head with Ohio Northern University. The Women’s Championship game starts at 11 a.m., with the Women’s Consolation game finishing up the women’s lineup at noon. Then the Flying Pigs hit the field at 1 p.m. to face the Cleveland Rovers. The DARC is a not-for-profit organization founded in the 1980’s and dedicated to promoting the sport of rugby. Local rugby matches are free to spectators everyone involved is interested in talking to people who want to learn more about the game. 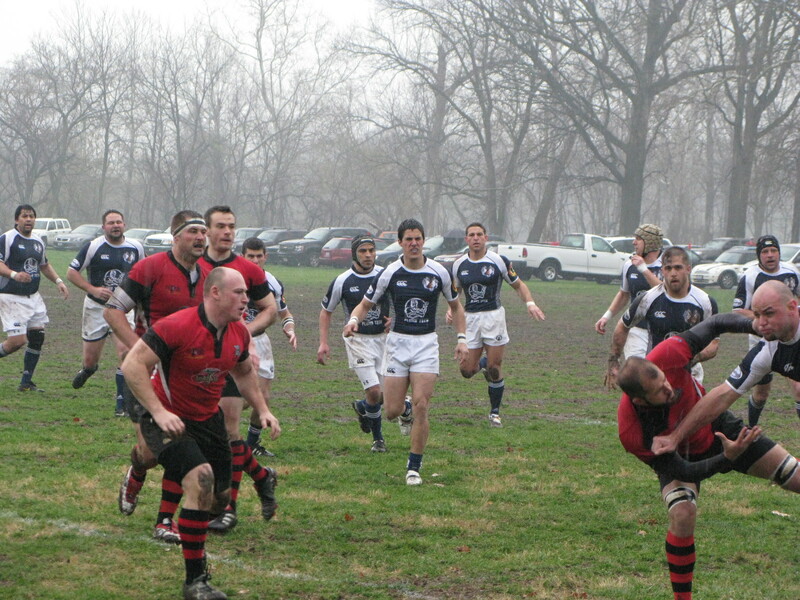 Learn more about rugby online at http://www.daytonrugby.com or call the Dayton Area Rugby Club at (937) 640-3023.